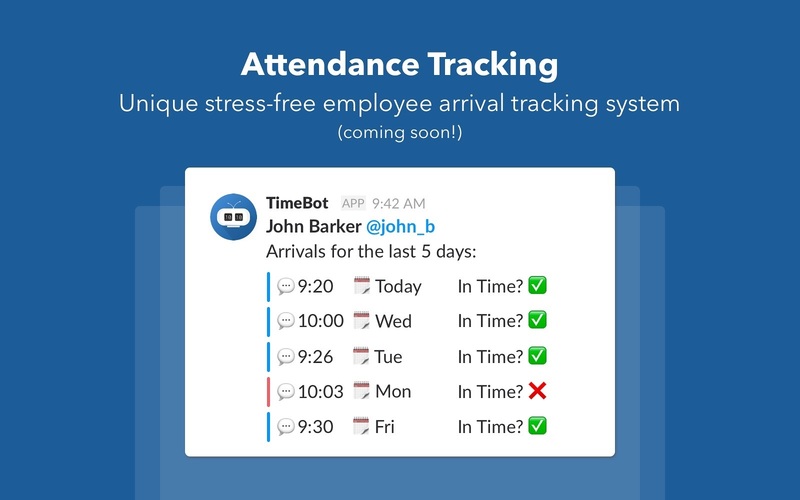 Try a better way of tracking employee vacations. Keep everyone notified about upcoming holidays! Probably your new best friend! posts original birthday messages in your team chat. environment, and it’s loads of fun! 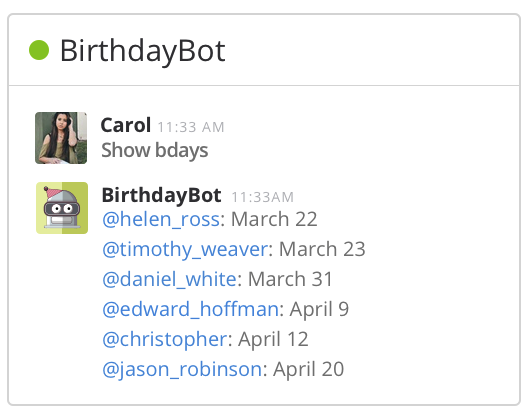 BirthdayBot keeps everyone informed about upcoming birthdays. It also ensures all the members of your team get a proper unique b-day celebration! 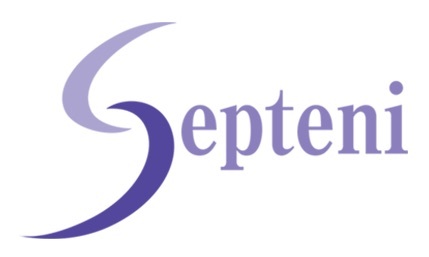 Wanna know the date of the next celebration in the office? 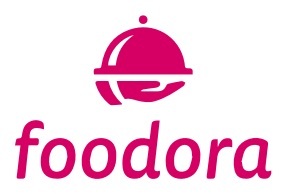 Or a birthday of your colleague? Get private hints about upcoming bdays and make sure to get a LOT of greetings from everyone around on your special day as well! BirthdayBot remembers everything. 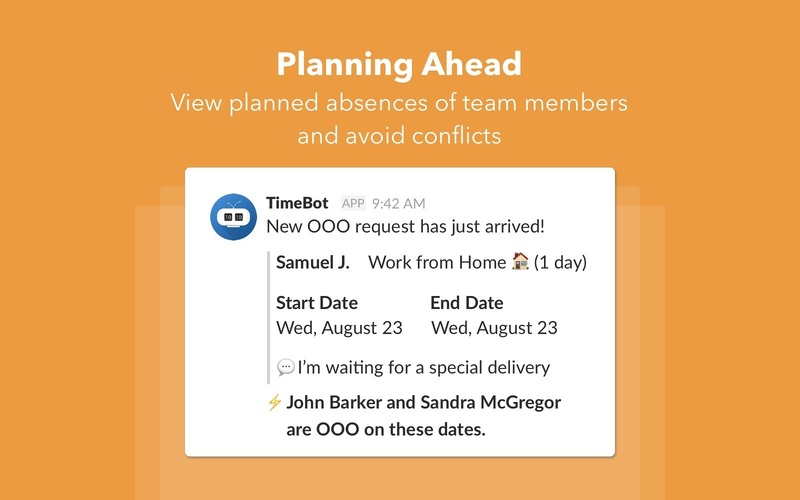 Just add information about your colleagues’ birthdays and rest assured you won’t miss anybody’s happy day. And did we mention the loads of fun? 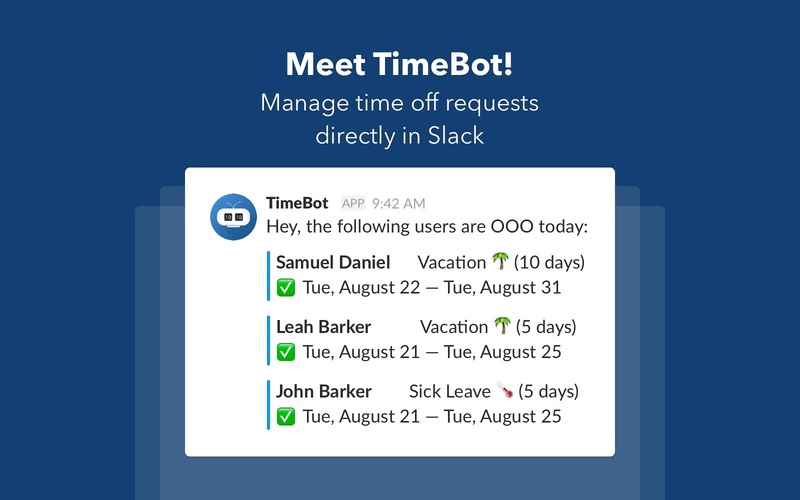 BirthdayBot will alert you a few days before each birthday. Nothing annoying, just a gentle countdown so you have time to find a cupcake recipe and maybe a cool gift for your colleague. BirthdayBot has a rich collection of unique wishes that will fit any taste. When the day comes, the bot will personally greet your teammate and liven up his special day. 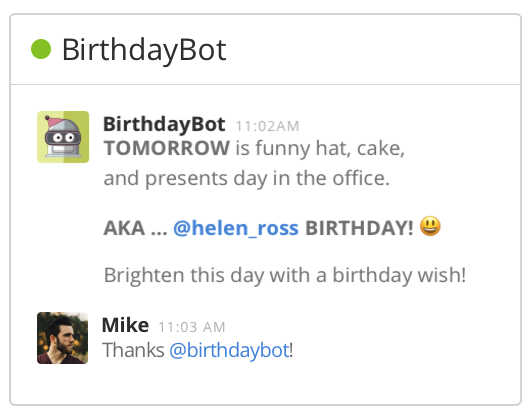 Birthdaybot can recognize our team mates birthday and greet them automatically as like me. 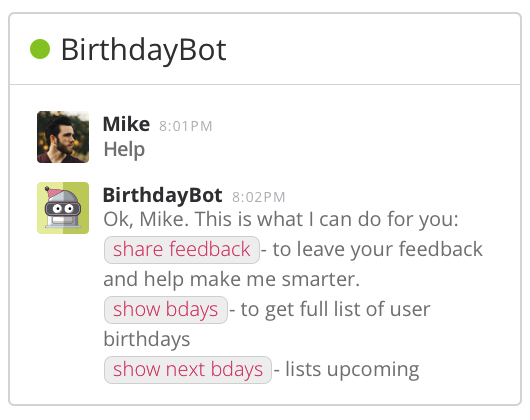 - Kishan R Intel IoT It's really good idea to create a bot with the function to tell you happy birthday. 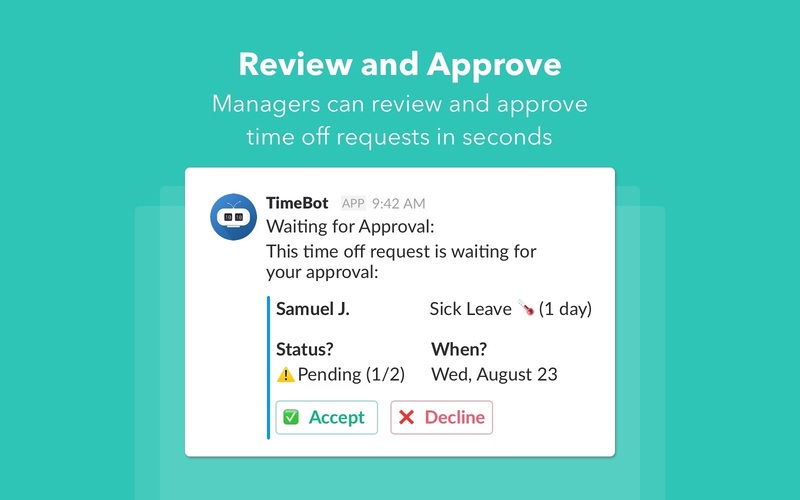 - Alexander Dohr Exutec It was best decision to integrate Birthdaybot in our team. - Erin Fink Pust Oh, Birthdaybot is really full of funny GIFs and warm words. - Stuart Cookney Foamy Media Sometimes I think Birthdaybot predicts my best wishes for my teammates. - Carolina Tobar Via Gubernativa Very useful bot.